Thanksgiving is about family and friends. Jan and I do not have family near us at our Cape Cod Bed and Breakfast, but we do have great friends who joined us for a wonderful thanksgiving dinner and some great wines. Frequent guests at our Inn, Pricilla and Bob from Saratoga NY, now considered old friends, came to stay for the three day Holiday. New neighbors, Marva and Bill, now considered new friends, also joined us for the evening. We all share a passion for good wine. We started the evening at the Inn with Scharffenberger Cellars’ sparkling wine from Mendocino, CA. As I have said before, it cannot be Champagne if not but from Champagne, France, but this sparking wine sure met my cork popping and lively bubble criteria. I have liked this wine for years even though it is not as well know as some other California sparkling wines. New guests from New York City shared a toast with us on their way out to dinner. A joy of being an Innkeeper is meeting new guests and introducing them to other guests and our friends, who often gather around the fire at Inn, most likely with a good glass of wine being shared. We made our way to the Belfry Bistro for our Thanksgiving dinner; the first Pilgrims would have envied us that night.The owner, Chris, joined us for the last seating of the evening and the feast began. Since we had already started with a white wine at the Inn, we went immediately to a red. We broke away from some traditional paring logic and instead just selected some of our favorite wines. 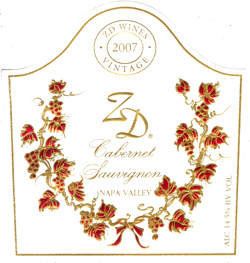 I selected a newfound favorite, the ZD Wines 2007 Cabernet Sauvignon from the heart of the Napa Valley. It pared well with the first course of Vanilla Scented Pumpkin Soup with Cornbread Croutons and the second salad course of Organic Autumn Greens with Roasted Parsnips and Vermont Alpine Cheese. With our main course of Cider Roasted Turkey with all the trimmings, we went a little more traditional with a Point Noir. Marva, who grew up in Oregon, selected a wonderful Alexana Winery 2007 Pinot Noir Shea Vineyards form the Willamette Valley. I have had many great Oregon Pinots, but had never tried this one; it was the perfect match for an unbelievable main course. When you think it couldn’t get any better, I finished the meal by selecting the most sinful dessert: Warm Chocolate Goo Cake, Fudge Ice Cream, with Raspberry Flavors. Chris’ wine choice was a great Cakebread Cellars 2007 Dancing Bear Ranch, a wonderful blend of Cabernet Sauvignon, Cabernet Franc and Merlot from the Howell Mountain area of Napa Valley. This wine is a treat anytime, but was the icing on the cake, so to speak, for me as it magnified the flavor experience of my chocolate delight. So, all in all, I would say it was a perfect Thanksgiving, great food and wine shared with wonderful friends. Since my search to find great wines to serve guest at our Sandwich Bed and Breakfast never stops, I also discovered a great new Pinot Noir to consider. To participate in the fun, consider joining us at the Inn next Thanksgiving or we also have some great Christmas and New Year Eve’s specials on our website right now. 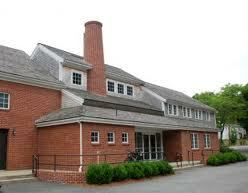 One of the most charming and beautiful seaside boutiques on Cape Cod is located here in Sandwich, Massachusetts. 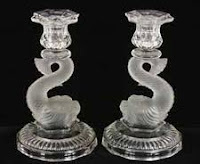 It is a favorite place guests staying at our Sandwich Bed and Breakfast love to visit to purchase something special for their home or as a gift to take home to a friend. It is also a very favorite place of this innkeeper. During Holly Days in Sandwich, our annual Christmas Stroll, the Spotted Cod is hosting an event with celebrity lifestyle and entertaining expert Matthew Mead. He is the author of numerous books and has contributed to many well know publications including Better Homes and Gardens, Real Simple, Victoria, and Country Living. 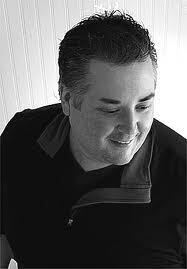 He is also a frequent contributor to the Discovery Channel and HGTV. On Saturday, December 4th, 2010, from 11 am until 4 pm, the Spotted Cod will be presenting Matthew Mead and his newly released “book-azine”, Holidays with Matthew Mead, which celebrates, and offers inspiration for, the Christmas holiday season. "Holiday with Matthew Mead is a 'book-azine' that encompasses all that I love about the holiday season: the traditions, celebrations, and magic that is the holiday season. The pages of Holiday with Matthew Mead are filled with fresh, easy ideas that can be achieved in two or three steps. It's a novel approach to almost everything holiday, and I hope you take a chance to pick it up and see how these updated ideas might inspire you. With 144 pages of holiday inspiration - featuring well-known and admired designers, bloggers and top-notch stories - and printed on beautiful paper (while not drowning in ads! ), we consider Holiday with Matthew Mead part book/part magazine - a publication that you will keep from year to year and add to your collection of Holiday decorating, crafting and cooking magazines and books." With a little help from the master, your home can sparkle with the magic of the holiday season. Call the Spotted Cod at (508) 888-8263 to pre-register for your signed copy of Holiday With Matthew Mead and to get more information about Matthew Mead’s visit to Sandwich. This is a once in a lifetime opportunity to meet this talented man. Visit Matthew Mead's Style to learn how you can become a member and begin downloading holiday decorating ideas, templates for craft projects, and recipes for holiday goodies. 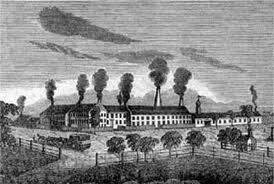 Be sure to read Matthew’s blog and, while you are there, follow him on Facebook and Twitter. 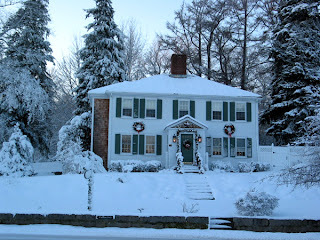 The holidays are a special time in Sandwich Village and at our Cape Cod Bed and Breakfast. 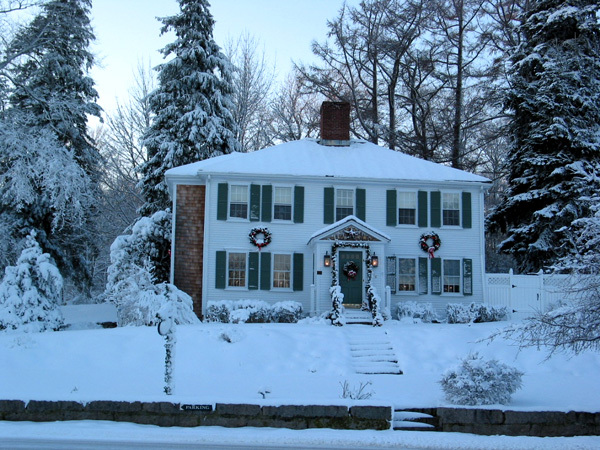 Sandwich Village is the quintessential Currier and Ives New England town during the Holidays. At Thanksgiving, a few of the brightly colored leaves will still cling to the great oak and maple trees that line the streets of the Village. That wonderful smell of natural wood fires will mingle with the aromas of Thanksgiving dinners being readied for family gatherings. The first Pilgrim’s Thanksgiving was celebrated just a few miles up the road at the Plymouth Colony in 1620, and the tradition continued here in Sandwich after it was incorporated in 1639. 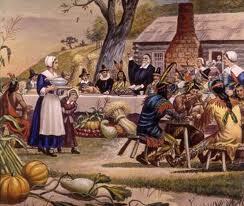 In 1750 the first Thanksgiving was celebrated at the Jonathan Bassett home at 118 Tupper Road in Sandwich Village. This year, we are celebrating the 260th Thanksgiving in this lovely, historic home that is now the 1750 Inn at Sandwich Center. See our website for great Thanksgiving specials. Sandwich Village really shines for Christmas with lots of activities starting the first weekend in December and running through New Year’s Eve. The Sandwich Chamber of Commerce decorates the Village in greens and lights to reflect the season. Town Hall Square, of which we are a part, is the center of the festivities. The Town Christmas tree, located at the end of our driveway, is lighted as we town folks and visitors sing carols in front of the First Church of Christ. The shops are open late and hot toddies and goodies are offered to warm and refresh the wandering patrons. On the second Sunday of December, we participate in the Home Tour and open our Inn to the 100s of visitors who have an opportunity to see some of Sandwich’s magnificent old homes in their Christmas splendor. I always enjoy giving tours of our Sandwich Bed and Breakfast and sharing its wonderful 260-year history. This year we will be open through New Year’s Eve and will celebrate with friends and guests. 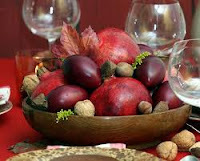 Thanksgiving, Christmas, and New Year's Eve bring thoughts of food and celebrations. Why don't you come to Cape Cod this year? Sandwich is a very special place to spend the Holidays and we are offering some great packages to make your celebrations memorable ones. See the Sandwich Chamber website for a complete listing of Holly Days in Sandwich events. The weather is turning and I am planning ahead for what wines to serve guests at our Cape Cod Bed and Breakfast on Thanksgiving. Conveniently, I was asked to help out at the Wednesday wine tasting at the Belfry sponsored by Cellar 55 Wine Merchants that was exploring what wines to serve with Thanksgiving dinner. Timing is everything and I am again at the right place at the right time. As always at a Belfry tasting, each of the wines is pared with a food sampling. As this one had a Thanksgiving theme, I had thoughts of pumpkins and dressing running through my head. Since I have the opportunity to taste a lot of wine, and at least per Jan spend too much time at Cellar 55, I had already tasted two of the four wines offered and thus had a certain level of expectation about them. I was in for a pleasant surprise on both the food and wine choices. Gary Gahl from Winebow Boston conducted the tasting and started us with an Oregon Riesling. My first thought when I hear Riesling was ‘sweet’ German wines, which I never buy. 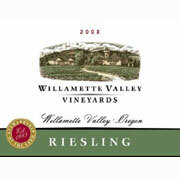 The 2009 Riesling from Willamette Valley Vineyards was not too sweet and was very refreshing by itself. It was pared with parsnip soup with blue cheese. Together the wine and soup came alive. I am not sure I have ever had parsnip soup and would never have thought to serve it with a Riesling. What a nice start. Next we had the 2009 Willamette Valley Vineyards ‘Whole Cluster’ Pinot Noir with a mixed green salad. Gary explained that in this wine making process, the grapes are left on the stems and then fermented in a large tank where the weight of the grapes themselves performs the ‘crushing’. The same process is often used in French Beaujolais, yielding a light, fruity and very drinkable wine. Kris from Cellar 55 calls this a great ‘porch’ wine to enjoy as you sit quietly in you favorite chair on your porch and watch the world go by. "The 2008 Sangiovese Terre degli Osci is an incredibly delicious, full-bodied wine with gorgeous clarity and definition. 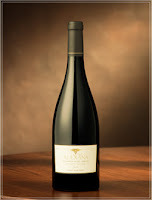 Made in a bold, fruit-driven style, the wine offers terrific depth and a long, polished finish. This harmonious red is a knockout!" Often the last paring of the evening is with a desert and I was thinking about pumpkin pie all day. But the last wine listed was a 2008 Domaine Jean Bousquet Malbec from Argentina. Bousquet is a leading organic producer from the Mendoza region. I could not see Malbec and pumpkin pie. The last paring was not dessert, but an exceptional tasting of venison. This big Malbec and powerful meat were a perfect combination, as the flavors mingled and lingered, I forgot all about the pie. As I savored the experience of these great wine and food parings, I wondered how we could replicate it at our Sandwich Inn. Would I be able to match Chef Dan’s parsnip soup? How exactly do you ‘brine’ a turkey? Would Jan even allow me to have venison in the kitchen? Since Chef Dan isn’t coming to my house to prepare a Thanksgiving dinner, I solved my dilemma by making reservations at the Belfy Bistro for Thanksgiving Dinner. I will get to experience more wonderful parings without all the trouble. I think this will be a new tradition for Jan and me. We hope you will take a look at our Thanksgiving Specials and come join us.